​Laying a new lawn is easier when the ground is warm and moist and so Autumn and Spring are the best time of the year to start afresh. 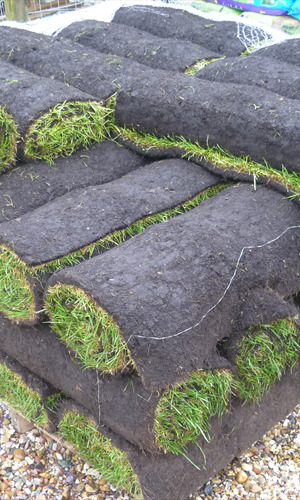 Our rolls of fresh turf are ideal for new lawns but also for patching up. 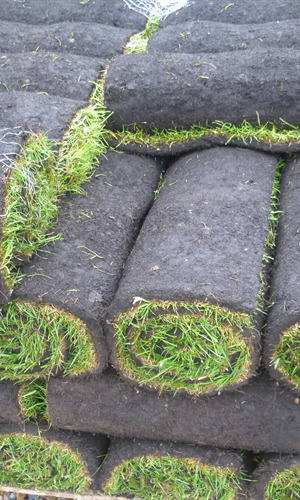 The lawn turf has been grown from seed and looked after during its development. They’re available in rolls covering 1 square metre and there is no minimum purchase quantity so you can buy the exact amount you need. Main stocking season is March to October, please telephone for availability. We make sure that our lawns are stored correctly and is kept damp during this time so that you can take it away knowing it’s at its best. Tips on laying down your lawn. Sprinkle over fertiliser and then give it a final rake. Roll your lawn out slowly starting at the edge of the land. Place rolls very close to each other. Neaten up any edges with a half moon cutting tool. Remember to water your new lawn regularly and to not walk over it unnecessarily – It may be worth investing in a garden sprinkler. If you're looking for real lawn turf in Leicester, Derby or Nottingham then pay us a visit to our Garden Centre in Castle Donington.